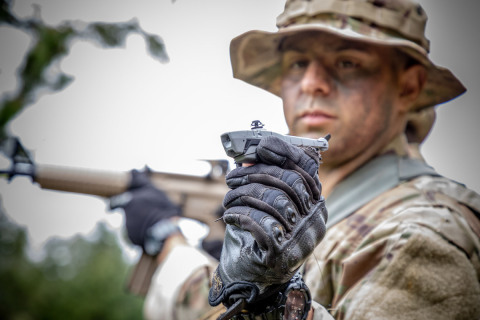 WILSONVILLE, Ore.--(BUSINESS WIRE)--FLIR Systems, Inc. (NASDAQ: FLIR) announced today it has been awarded a contract from the French Defense Procurement Agency (DGA) in support of the French Operational Pocket Drone (DrOP) program. The contract has a ceiling value of $89 million to provide the FLIR Black Hornet® 3 nano-unmanned aerial vehicle (UAV) and Personal Reconnaissance System (PRS) to support French Armed Forces operations. Founded in 1978, FLIR Systems is a world-leading industrial technology company focused on intelligent sensing solutions for defense, industrial and commercial applications. FLIR Systems’ vision is to be “The World’s Sixth Sense,” creating technologies to help professionals make more informed decisions that save lives and livelihoods. For more information, please visit www.flir.com and follow @flir.